​Because of my interest and hands on wish as director of photography in animation and my pioneering work with motion control in the early nineties, it was no surprise that I finally invested in some motion control facilities myself to do animated camera moves, experimental film, time-lapse projects and visual effects. Below: some motion control shots of the Red end and the Factory Plant stop-motion animation film. 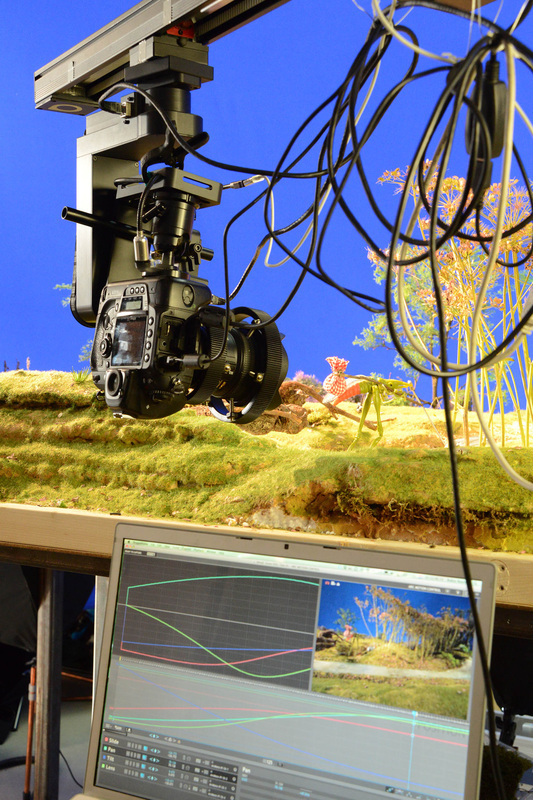 The motion control devises used in these shots are: Omnislider for linear track, pan and tilt, Omnihead for rotational pan and tilt, Lensdrive for focus and zoom and the Spinn 360 for the orbital shot. In the shot with Red-end at the brook I also used the slider movement in combination with pulleys to animatie the brook stream as well. Motion Control Samples of Red-end - advise: do play full screen in HD resolution. ​It is a 4K Digital Cinema film. To watch it in HD is already a concession. ​If you prefer a Vimeo player or Youtube takes too long to come up with the HD version, watch the version below in full screen. 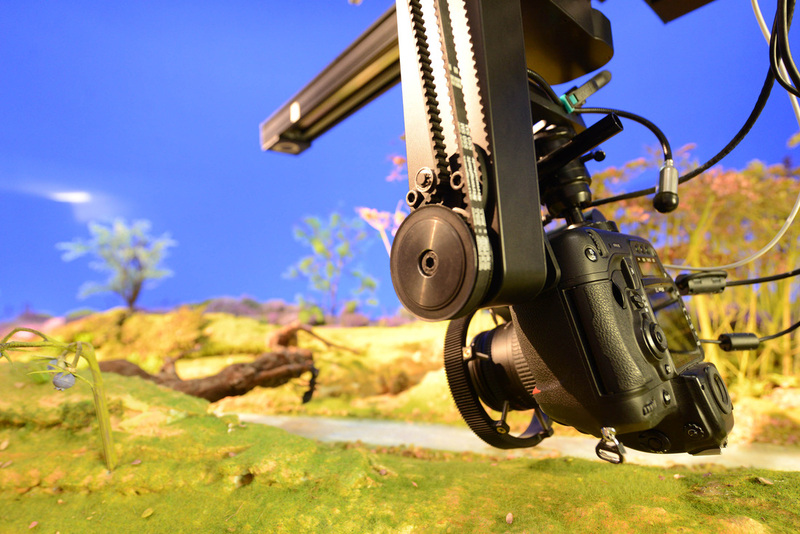 The motion control equipment, a Omnislider, Omnihead, Lensdrive, 360 Spinn, Minijib, Evolution, Dragonbridge and Dragonframe software are a versatile combination for repeatable camera moves in live action, VFX, time-lapse, stop-motion, go-motion and animation. E.g. 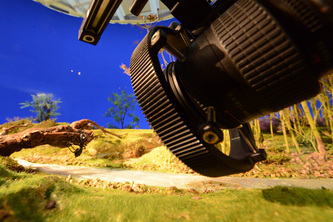 a live action camera move can be recorded and played back in stop-motion thus enabling animated characters or time lapse processes to intervene with live action. Add to these facilities the fast array of some 30 plus lenses starting with the rare Nikkor 8mm f2.8 fish-eye up to 800mm tele. Some of those lenses are very special like the 105mm DC Nikkor, the ultimate bokeh lens, the 24mm tilt shift lens or the Laowa 24mm probe 2:1 wide macro lens or the wides rectilinear wide-angle of them all, the 10mm (130º) full frame Voigtländer. Top that with a range of cameras from Nikon and Sony bodies to a special made infra-red camera and 360° VR camera's, and ones imagination is the only limit. I researched the integration of motion control camera moves, scaled into table top maquettes camera moves. 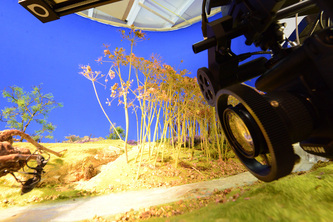 This enables directors and actors to see a scaled table top scene in motion and thus see the actor walking around in a life size miniature maquette set. My expertise in this field as a DOP, artist, experimental animator, film-choreographer, designer and my more than 25 years of experience in compositing and motion control, together with my facilities are worthwhile for quite a range of film and art projects. 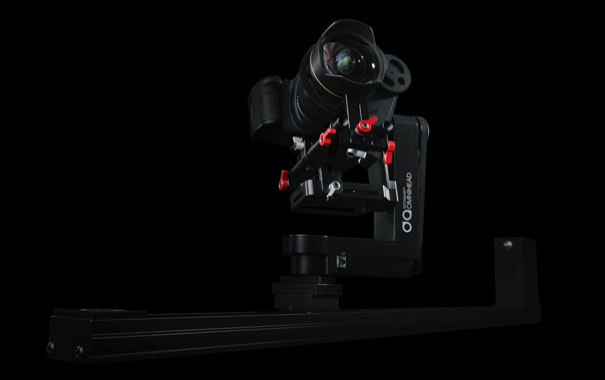 I adapted the Omnihead motion control set to also be able for shooting complex and ultra high resolution 360 panorama's. Although the equipment is primarily for my own projects, feel free to contact me if you might need this combination of disciplines and facilities for your film or media project or need any advise in this field. The motion control set is mobile and fully operational on location. ​I took my motion control gear for the first time outdoors when on holiday in Scotland. On a nice summer day in Findochty and Portknockie I made some time-lapse shots with camera movements. ​My most special lens to work with is a bulky seventies vintage fisheye, the famous and heavy Nikkor 8mm f2.8 which I bought on Ebay in the last 7 seconds of an auction of this rare and expensive lens.